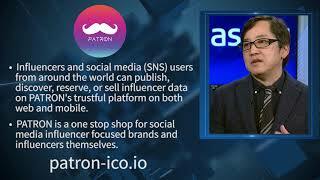 Influencers and social media (SNS) users from around the world can publish, discover, reserve, or sell influencer data on PATRON's trustful platform on both web and mobile. PATRON is a one stop shop for social media influencer focused brands and influencers themselves. 1 : Platform to drive the sharing economy of C2C / SNS media. To create next-generation services for influencers and provide a platform give equality to influencers, both globally famous and local. 1. Product Development: "PATRON" mobile and DAPPS. Also, development cost of influencer complex platform, personnel expenses, resource acquisition, and advertising. 2. 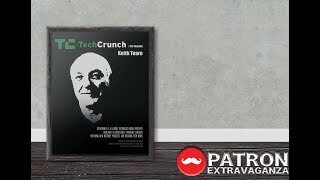 Global Expansion: Establishment of PATRON in Silicon Valley. 3. Toyo Influencer Hub: Office for influencers and for future influencers, marketers and engineers in Tokyo area of Japan. Equipped with a movie studio and work space. PATRON will distribute 240 million PAT within the ICO process out of the total supply of 400 million PAT. 160 million PAT is allocated to PATRON and is strategically used for distribution to board members, advisers and long-term development of PATRONs. In an industry where the SNS marketing fee is 40%, introducing a smart contract technology produces the merit of eliminating brokerage fees, which will increase influencer’s income and decrease client payments. ・PAT as a contract transaction between host (influencer) and guest (contractor). ・PAT as a collaboration between host (influencer) and guest (influencer). 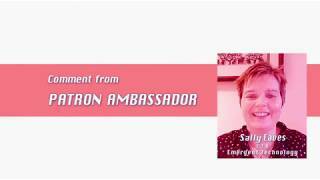 ・PAT as an ambassador contract with an influencer. ・Acquisition, selling and trading of influencers using PAT. 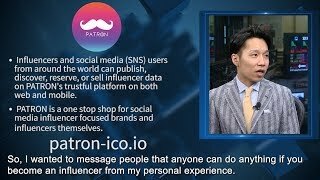 ・Influencer followers, fans can use PAT from PATRONs. ・Followers and fans vote for influencers using PAT. ・Influencers with more voting are displayed on the upper level. ・Fan voting is cleared when an appreciation fee is paid. ・Although the display rank drops when the contract occurs, if the fan vote increases, it goes to the upper level, and it gets easier to close the contract. Appeared in the TV program "Money no Tora", businessman boasts a high profile of 70% of japanese as "Reitetsuna Tora". it pays off a large amount of debt, and is revived splendidly. including car rental,restaurants,medical and publishing. Atsushi is a welknown and established businessman in Japan. Activity being dedicated to Software development & App development such as Patron, M&A Influencer, Fansta, Fankura, etc. He has afluent experience of Marketing, Marketing Planning & Support. I participate in our business on-line by Tottori-ken residence. A work life of part-time work fails in a business at 20 years old, and is saddled with debt, and starts. It's affected at Mr. HORIEMON fact Horie Kibun, and though it's system inexperience, is united to a local system company. I begin to come into action to make the localness fine by independence and the power of the IT in 2012. "Because it's useful to a person." it's made work and the work to have an influence on the whole country and the world from localness is being done. * A septic tank of a major company and customer management system development are built. With more than 25 years of hands on experience as a commercial director and a creator in advertising industry, he become a Head of Creative in NBC Universal Japan. After actively dedicated and connected to global projects and members, he held an manager position in major advertising agency. He was awarded in NY FESTIVAL, ASIA PACIFIC advertisement prize (ADFEST), Dentsu advertisement prize, PROMAX/etc. Based on those formaer experience and expertize, he is currently operating international affair of EXTRAVAGANZA International as a global communication hub. Joined to EXTRAVAGANZA after experiencing sales experience with IT venture. Currently, as a sales & PR manager, we support marketing of various companies both in Japan and overseas. Mainly designing logos, web sites, etc. In the design, I thought that there is "the ability to make a purpose"
Under the philosophy of "realizing the purpose of various people and companies through design," we are developing creative activities for a creative and prosperous future. In June, 2007 Audit corporation toe pine leaving. (1) Special seminar by a certified public accountant successful candidate of Japan and U.S.! -The secret of a pass! The one qualification utilized! About differentiation with a person-. ▪️ The Nomura Securities Co., Ltd.
Can an investor see through bill injustice of an enterprise? Employment History：Three-Call Co., Ltd. / KDDI Co., Ltd.
BIO: Keith Teare is a British born, Silicon Valley entrepreneur. He is currently Executive Chairman of Accelerated Digital Ventures - a $200m UK based Venture company. Previously he co-founded TechCrunch and also Europe's first Internet Service provider - EasyNet. David A. Cohen is internationally renowned for his pioneering work in the Decentralized Software industry and recently in the Digital Currency and Blockchain industry. David was named as one of the Top 100 Movers and Shakers in the SmartGrid by Greentech Media. David is working on next generation blockchain architectures such as Hashgraph, and is currently advisor to Hashgraph. He is also working with FarmaTrust, WePower, Wireline.io, and other blockchain companies. He is a former member of IOTA. He was the founder and CEO of Infotility where he pioneered the“Grid Edge”unlocking multi-billion-dollar software markets and creating the industries first artificial intelligence-based software platform - GridAgents™. David is a thought leader and has spoken at many venues such as MIT, TEDx, Consensus, Blockchain 100X and Singularity University. He is an expert on Blockchain, Artificial Intelligence, Cybersecurity, and Edge Computing. Toni Lane is an artrepreneur in the Digital Currency and Blockchain Industry who co-founded CoinTelegraph and the virtual blockchain nation movement. She has been affectionately entitled, “The Joan of Arc of Blockchain” and “Young Star of Bitcoin” by her peers and various publications. Miss Lane serves as an advisor to several notable companies, funds and family offices, including, but not limited to: SingularityU, Factom, The United Nations, Propy, HSBC, Cicso, P&G, Institute for the Future and St. Gallen Symposium. In other worlds, Toni Lane is a recording artist and the founder of the “immaterialism” (post art) movement where she uses consciousness as a medium. Samson Lee – Co-Founder of Ethereum south China and south Asia communities, Founder & CEO of CoinStreet, Founding Executive Chairman of China (Guangdong, Hong Kong, Macau) Greater Bay Area TechFin Association, Co-founder of Hong Kong Blockchain Centre; Chief Crypto-economic Advisor of Gibraltar Blockchain Exchange, board advisor of Universa.io, Asia President of Next.TV Inc. and Chairman of STM Digital Group. Apart from being an experienced crypto-currency investor, Samson has over 20 years’ experience in TMET sector, with proven success in commercializing various digital services and e-business operations across in Asia, including the world’s first 4G premium VOD service in 2012 with China Mobile, first mobile e-wallet in 2003 with PCCW, first verified-by-VISA SMS payment service with VISA and Bank of China in 2002. Yagub Rahimov is the CEO and Co-founder of the 7marketz Inc. Group (AtoZForex.com, FintechEvents.Center, NewsOgram AI and GrowthChannel). Yagub is one of the very few early Bitcoin and Blockchain adopters, investing since July 2009. He has been advising a select list of top quality ICOs, as well as investing in them. Yagub has a vision that machine learning combined with the Blockchain technology will define the future of the FinTech ecosystem. As Founder/CEO of Webrazzi (parent company of Bitrazzi), Arda Kutsal has been covering tech startups since 2006. Profiled under Fortune magazine’s ’40 under 40’ lists between 2011-2017 and featured together with Webrazzi on the cover of Forbes Turkey (October 2010), Arda Kutsal is considered one of the rare names in the industry with extensive knowledge of regional investments, start-ups, and strategies in the internet, digital economy, and blockchain. He has been supporting and investing in blockchain/cryptocurrency startups since 2013. In 2012, at the age of 25, sales of solar power generation exceeded sales of 10 billion yen, group companies exceeded 10 companies, and even a plurality of listed companies will serve as directors. Shintaro also opened a solar panel manufacturing plant in China and started manufacturing panels. Also, having made secession on several projects, collaborating with politicians and major companies, he is called a venture's flag. Today, in addition to the infrastructure business, he also participates in the FinTech business and application development business. Rizmy is the CEO of JHR Investments, an advisory business based in Dubai. United Arab Emirates. He has over 20 years of work experience in trading equity derivatives in major investment banks like Deutsche Bank and KBC Financial Products in Tokyo, Hong Kong and Dubai. He has experience in Stock Exchanges and using his experience in the crypto space to raise capital and advise number of major clients. He has a master’s degree in Business and educated in Japan, with full proficiency in Japanese. Jared startedhis career at the FBI, where he was an Intelligence Analyst in the New York Field Office specializing in white collar investigations. After the FBI, he studied at Sciences Po in Paris, France, graduating with a Masters in Finance. For the past 4 years, Jared has worked in marketing for high-growth tech and blockchain startups, including one year for a leading Asian VC firm. His specialties are growth marketing, focusing on PR, product marketing, and executing go-to-market strategies for early-stage projects. In total, Jared has worked on teams and ICOs actively raising over $100 million. Jared resides in NYC and also holds a BBA from the University of Texas at Austin. Richard’s practice focuses on the representation of early stage and publicly traded companies in the FinTech space, including investment banks, broker-dealers, investment advisers, peer to peer lending platforms, digital currency trading platforms, alternative trading systems (ATSs), and exchanges. He has been advising these clients on legal and regulatory issues since the start of electronic trading in the late 1990s. Before entering private practice, Richard served as the Global Head of Product Development for Compliance and Operations for a leading global investment bank and as General Counsel and Chief Compliance Officer of three U.S. ATSs and a U.K. based multi-lateral trading facility (MTF). He played a leadership role in the launch of two successful joint ventures of leading global investment banks. 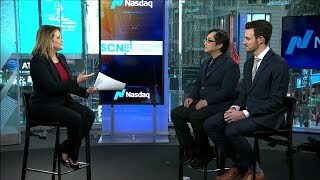 Richard began his career on Wall Street by serving as the General Counsel of one of the original Electronic Communications Networks (ECNs), and as Assistant General Counsel and Regulatory Affairs Officer of the largest Nasdaq market maker. His current and past clients include leading national financial institutions, multinational financial services holding companies, and institutions engaging in global investment banking, investment management, securities, and other financial services with institutional clients. Richard has represented clients before regulators in Canada, Hong Kong, Japan, and the United Kingdom. He is a member of the Entrepreneurship Initiative Advisory Board of the Silicon Flatirons Center for Law, Technology, and Entrepreneurship of the University of Colorado. The Advisory Board consists of respected venture capitalists, successful entrepreneurs, top executives at established companies, and attorneys that represent early stage companies. Before joining Polsinelli Richard was the co-chair and founder of the Digital Currency Team of a leading U.S. law firm. Richard is a frequent speaker at conferences on regulatory, FinTech, and market structure issues and the co-author of the chapter on U.S. regulation of virtual currencies for the Handbook of Digital Currency published by Elsevier. Mr. Ahn started his career in 2000 as one of the youngest junior executives at eSamsung HQ under JY Lee, the current Vice Chairman of Samsung Electronics. 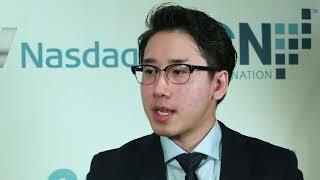 Subsequently, he worked with and represented several offshore capital firms including Clearstone Online Gaming Fund, Natixis Private Equity Asia, and Riverside in various capacities in Korea. Until 2017, he was an executive board member of AT Technology, a semiconductor company publicly listed on Kosdaq. He headed the AR/VR business division, and discussed his activities during his interview with the Korea Times. He also spoke at the Global Leadership Summit in Shanghai in 2016. As an advisor to several Korean government agencies, including Seoul Business Agency, he has mentored startups internationally. A prolific writer, he had his own daily radio show for 18 months on EBS, a state-owned broadcasting station. He is a proud graduate of the Bronx High School of Science. He studied engineering at Cooper Union, economics at Oberlin College, and then law at University of California Hastings College of the Law and at Brooklyn Law School. A father of four gorgeous girls, he is fluent in Korean and Japanese as well. Sammy is a 25-year-old Millennial in the body of a middle-aged Korean executive. Mr. Ahn oversees the firm’s ICO investments and the pre – ICO incubation process. He also serves as an advisor to Lucyd Technology. Ethical hacker since childhood, security expert, blockchain developer and project manager. Jorge Rodriguez is passionate about technology which is considered one of the greatest security experts in the world of CryptoCurrencies. Behind him brings 5 projects made and one of which was the famous Ethereum in which he dedicated to report bugs and security errors altruistically to help the community. I participate in finance business from 20 years old. I start new business by 26 years old and start a communication company after it. I manage a company of an enterprise investigation at present and advise on judicial affairs and an internal control by EXTRAVAGANZA. George is the founder of one the top 5 Agenices in the crypto space - Crynet and has major experience in working with more than 20 ICOs. 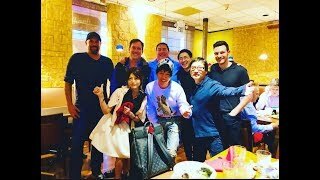 As a team member he helped close LAToken 20mln$ and Swissborg 50mln$ crowdsales. With a background in Digital Advertising and startups he brings in an expert view of the ICO market. Maryna Burushkina is a digital marketing expert and a Co-founder of 7marketz Inc Group. Maryna has over 9 years of experience in working with multinational tech companies and ICOs, focusing majorly on customer lifecycle management and conversion optimisation. Maryna is also the founder Growth Channel, marketing app based on machine learning. An influencer refers to a person who has a very strong influence in the social media space, including Youtubers, bloggers, and Instagramers. Since 2010, I have been promoting influencer marketing in Japan, earlier than anyone else. As an influencer, I have worked tirelessly to spread the existence and influence of influencer marketing as a viable business model for brands and creatives. This has giving me and my team the ability to attract and broker influencers in a win-win situation. In addition to that, we are currently accumulating "the ability to create better products". I will be the only Japanese entrepreneur admitted by Facebook founder Mark Zuckerberg of the same age as mine. If you have an Internet connection, smartphone, or social media, we want you to have a platform you can trust and utilize to share your creative perspective. Through PATRON, we are happy if we can give away love, courage and excitement to youth around the world. Make sure to read FAQ before purchasing PAT token.